Greetings to you by Jesus Name. My name is Pr. Bala Sundaram. I was born and brought up in a nominally Christian family. My father died when I was a child. I was a brilliant student. I completed my post graduation and B.Ed. I was hired by a finance and investment company. I read the Holy Bible and gave my life to Jesus. I decided to join Bible school. I resigned my job and joined the Bible School. I went to Emmanuel Theological Seminary, in the state of Rajasthan. I wished to be a student there. But the authorities found me very intelligent and interested in the Holy Bible. They appointed me as a teacher. I used to study in the nights and teach during the day. Within a year I was promoted to the dean of students and then dean of academics too. I taught there for 4 years. 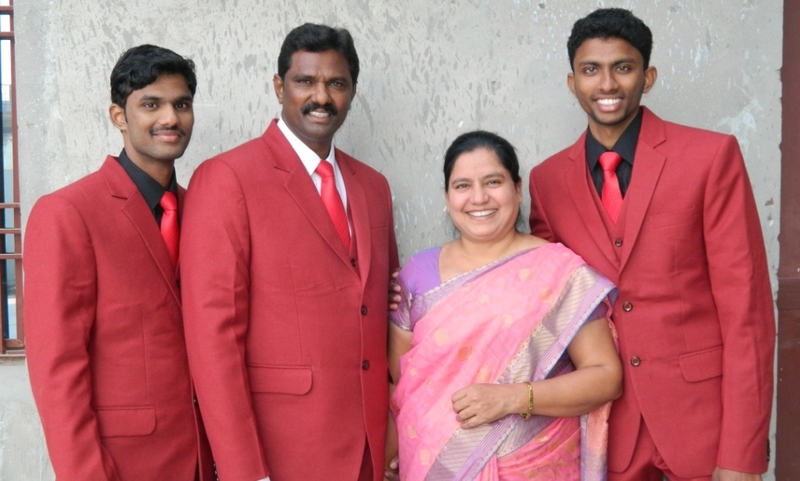 Emmanuel theological seminary was started by Dr.M.A.Thomas, who was a missionary to north India. I used to challenge the students at every graduation “who would be a missionary to North India? ?” After 3 years during the graduation ceremony while I was speaking God spoke to me in my heart. “Bala you are challenging everyone to go to a new place to preach the good news I want you to go!” I clearly felt it was from God. I announced then and there my resignation to my post of dean of academics. I had a vision from God to go and serve him at Agra. I came to Agra on 18th of May 2004. I started serving the Lord.